Alice goes down the rabbit hole to find…Elmer Fudd?! 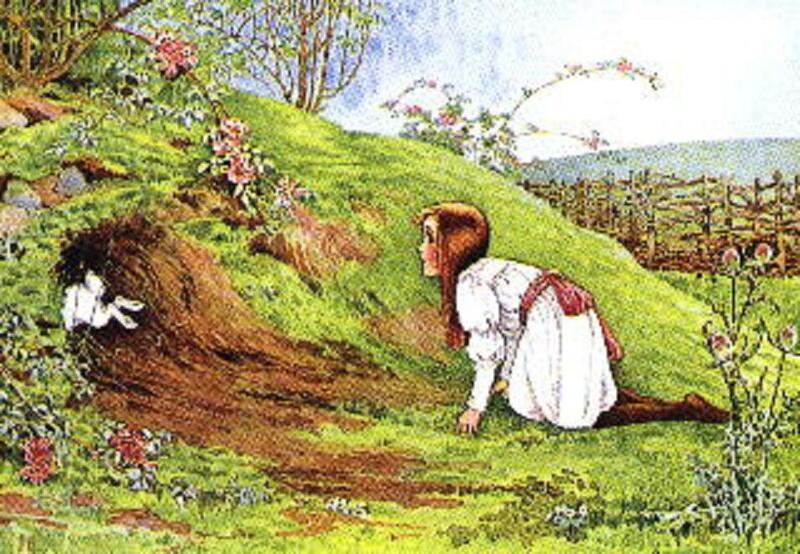 Lewis Carroll’s tale of “Alice in Wonderland” introduced us to iconic characters. There was Alice, of course, The Mad Hatter… and the White Rabbit, heard here in a Decca recording from1944. Does the White Rabbit’s voice sound a bit… weww, wascawwy? That’s because it was voiced by Arthur Q. Bryan, who became famous as the voice of Elmer Fudd. So…which voice was the original? It’s a question of which came first, the rabbit or the egg. You see, Elmer Fudd evolved from a character named Egghead, who first appeared in nineteen thirty-seven, years before Alice in Wonderland was recorded.